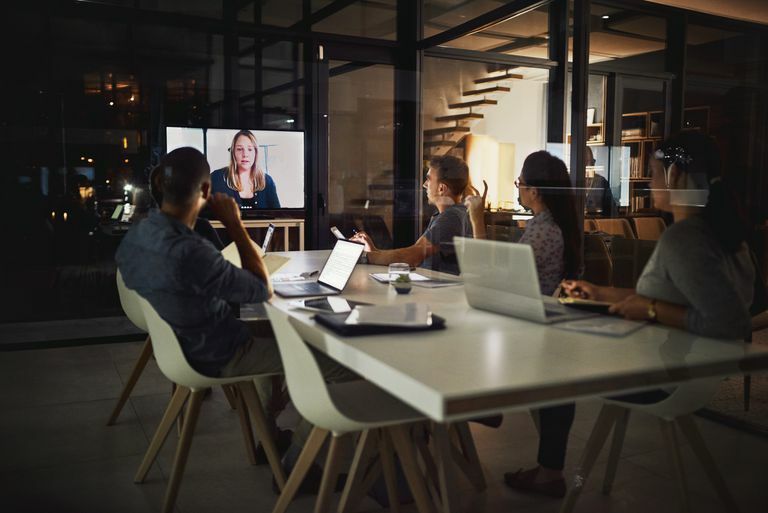 Online meetings are only as good as the software they are conducted in, but with so many options in the market, it may be difficult to know which is best for you. Here are four of the best meeting tools available — and always remember that if you’re in doubt between a few programs, you can and should ask for a free trial. Adobe is a well-known company that has brought us Photoshop, an industry-standard photo, and image editing application. Connect Pro is one of Adobe’s lesser-known products, but it is a solid choice when it comes to online meetings. It is not for the novice, however. Though it has a beautiful interface, it can be difficult to use due to its large number of features and the fact that it takes a while to really get to know them. Users can create polls, access meetings from an iPhone or iPod Touch, video conference, and easily share a variety of media. In fact, this is one of the most feature-rich tools available. For example, it allows multiple meeting rooms, which can be branded differently but share content. In addition, this software is useful for larger meetings, as it can accommodate up to 200 people. Adobe does not publish the price for its Connect Pro edition, which can vary depending on the licensing model chosen. Now part of LogMeIn, GoToMeeting is an online meeting program specifically useful for small companies. It supports meetings of up to 15 people and allows for meeting recording, screen sharing, and chatting between participants. In its corporate version, meetings can have up to 25 people. GoToMeeting is intuitive and extremely easy to use, so it takes little time to get to know the program’s capabilities and features. One downside is that before a meeting can start, attendees need to download a client so that they can access all of the software’s features. This can take a bit of time, delaying the meeting if attendees are not prepared in advance. Microsoft acquired Skype and discontinued its own web conference software, Microsoft Office Live Meeting. Skype for Business is its business-focused meeting software. Skype is perhaps one of the best-known online meeting tools. Its functionality spans from basic meetings all the way to web conferences and even online learning sessions. Unlike GoToMeeting, for example, joining a meeting is quick and easy. The software is connected with Microsoft's suite of office software, Office 365, and supports meetings of up to 250 users. While the software does cater to small companies, it shines as a corporate tool, since its more advanced features require a dedicated server (and the expensive licensing that comes with it). WebEx is the umbrella name given to Cisco Systems' large array of online meeting tools that serve small meetings to large conferences. Meeting Center is a popular part of this range of products and holds collaborative working at its core. What sets this tool apart from its competitors is the ability for hosts and participants to keep meeting-related content on their screens simultaneously, and to resize or move it around as desired. The tool is also integrated with Outlook, so starting a meeting or sending invitations directly from the program is simple. It is a relatively easy-to-use tool, although it does require some training for users to make the most of its functionality.